In eight days, it'll be my blog's third anniversary, and I decided that I might as well do something special for it. I have three special things planned, but this is the first, which will run right up to the big day. What is the "Movie Biography". Well, it is basically a year by year look at the films that have shaped my love for films. Sometimes there'll be just two films (like there are today), other days there'll be heaps, but I thought I may as well share my inspiring and interesting (haha) anecdotes on how I came to love these films. Because I imagine if I ever got a biography written about me (which is kinda my lifelong goal), the chapters would be in the movies I've watched instead of normal things like "Stevee Taylor becomes an astronaut". Because we all know that's going to happen, which is why people will write a biography on me. -I don't mean to impress you, but my mother and I saw it TWICE. This was a big deal back in the day. I think we saw it our local cinemas, too, which means it was a really long time ago. I also think we saw it a second time because I had two broken arms and I couldn't do all that much. Including eat popcorn like a normal person, but the cinema was dark so no-one would have noticed how stupid I looked with two broken arms. Then again, one of my casts was glow in the dark...yeah, I really thought that out well. Alas, I think the fact that we went to go and see it twice was probably the reason why it was my favourite film. -One of my friends bad mouthed it and I wrote this raging thing in my diary about how she was too "opinionated". She found it like, three years later and she was like, "what does this mean?" And I was like, "oh don't worry, I just hated you for a day because you said you hated Racing Stripes." I was so cool. -It was about a racing zebra. Growing up with racehorses, any movies about racehorses were cool. But a movie about a racing zebra was just so out of this world that of course it was going to be my favourite movie. However, there is one big reason why Racing Stripes remained my favourite movie for a few more months. Unfortunately, this won't be as funny as any of the other reasons, so if you wanna check out now, then do. You see, on November 25, 2006, I was in a truck accident. My mother and I were on the way home from the races, and it was a particularly gusty day. We were going down a very straight, flat, empty road when a gust of wind came and tipped it on its side. Had I not been wearing a seat belt, I would not be writing this right now. Same goes for my mother. We had two horses in the back. Roger survived. My favourite horse, Starkie (pictured on the right), had a huge shard of metal in her leg. When we got her home, we decided that she had to be put down. It was literally the worst day of my entire life. The scary thing was that I was originally going to stay home that day because I wanted to watch Aquamarine (which I watched the next day and hated so much), and that morning I was riding my pony and upon noticing how gusty it was, I was scared that the wind may be the cause of something bad. Of course, it was a very long night, and at 12am I was lying awake with the whole event flashing in front of my eyes. Instead of trying to sleep, I got up and watched Racing Stripes for the 500th time, and it just managed to cheer me up and put my mind at ease. I realise now that this was a moment in which I realised just how comforting movies could be in hard times. Sure, Racing Stripes isn't my favourite movie now and I probably couldn't get the same comfort from Memento or Schindler's List, but at least this movie was there for me. While we're on the subject of Starkie, one movie that gets me all nostalgic about her and 2006 is Brokeback Mountain. If you've seen my speech, then you'll know all about my relationship with this movie. Basically, I used to be in love with Jake Gyllenhaal and Heath Ledger. Obsessive love. I used to tell Starkie all about it (yes, I talked to my horses, don't judge). I would tell people like it was a huge secret and Jake and Heath couldn't know. But I realised that little old me, at only 11 years old, couldn't just walk into Blockbuster and ask them to put Brokeback Mountain in the book so I could take it out for free. No, that was much too simple. Instead, I spent my entire Warehouse gift card on it, and had to hide the film from my mother as we walked out of the shop. I don't know how long it took me to watch it, since I felt I had to watch this M-rated movie without my parents around. And they were always around. At the end of the film, I found I really liked it, though once I decided I didn't love Jake and Heath any more I gave it 2/10 on IMDb. I know, I was really melodramatic. I haven't seen it since, but I do remember it vividly, and I still do love it, even after that "rough patch" I went through with Jake and Heath. I have to thank the film, though, since it introduced me to Michelle Williams and Anne Hathaway, who have since became two of my absolute favourite actresses. 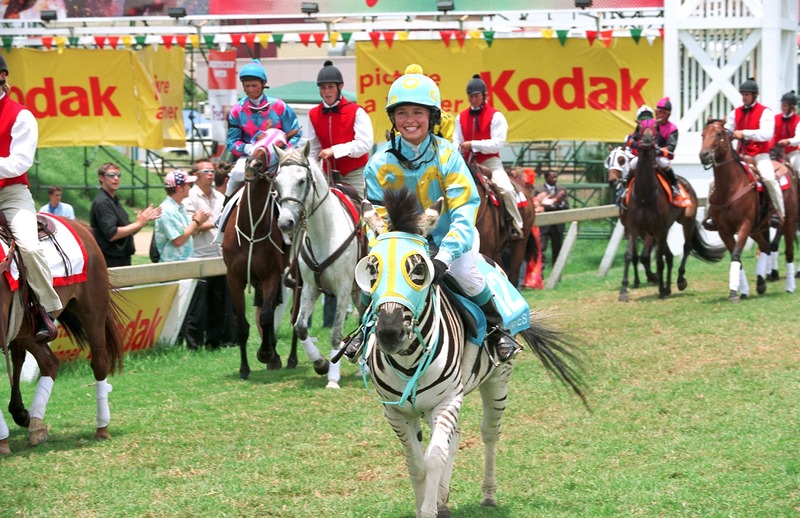 And yeah, it certainly was different than Racing Stripes, so it introduced me to films that had horses in them but they didn't have to always be the focus. After that, I slowly parted with horse films...which opened up a whole new world. So yes, Brokeback Mountain did do wonderful things for me at the mere age of 11. If you want some more charming anecdotes, check back tomorrow for 2007 in my movie biography! What was your first favourite movie? Oh, this is a lovely post. I look forward to the future entries of your movie biography. Ditto, I enjoyed this post. I can't wait to read more. I didn't really start until 2006...I was too wound up in horses. Haha, that would be really disturbing at that age! Honestly I found that movie pretty traumatizing when I did see it (and I was at least 40) -- I just found it so heartbreaking, especially the metamorphosis of Heath Ledger's character. I thought it was a brilliant film, but I'll never watch it again. 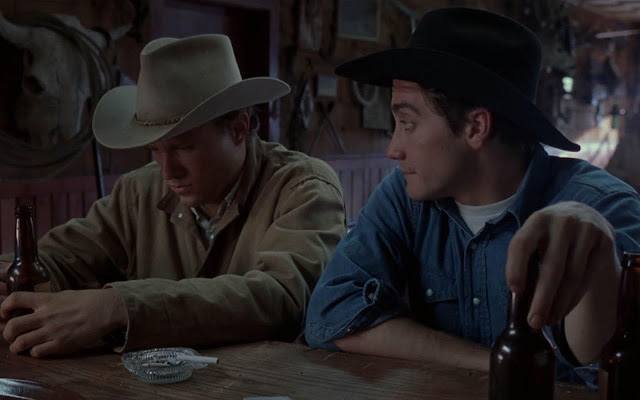 I can't remember what I made of Brokeback Mountain back then, but I didn't mind the whole gay thing all that much. Mind you, I was a little embarrassed over the fact that it was the "gay cowboy movie"
My first favorite movie was probably Disney's Davy Crockett: King of the Wild Frontier, but Star Wars would soon be my new favorite. Oh Aquamarine...the slow motion in that is torture. Wow, I've missed these Movie Biography posts, but am catching up now. I saw Racing Stripes. Yeah, it wasn't great, but hell, I've seen worse. This was a lovely post, awesome stuff! My first favourite movie was definitely Back to the Future. Or Creepshow. Those two films I have LOVED since a very young age. Amazing movies. I wish I could have seen Back to the Future earlier in my life. I love that movie! I love the biography bottles! persons are great, and so cute :-) I am your latest follower. I found you through seashore Sand and Lesson Plans. I will be a first year educator this coming fall and will be teaching third rating. Oh my, very funny! Maybe all of us reading should institute work on our own biography of a famous woman. It forever and a day shocks me how little people know of well-known women and how hard it is to access information regarding them for the school-age set.